I'm back!! I took an extended leave of absence from my blog and social media sites to focus on helping Mommy during a serious neck issue. Well, the family also took a much needed vacation that no one knew about. They said "Beach" and I said "WHERE?" They said "Florida" and I said "WHEN?" They said "now", and I said, "LET'S GO!!" I grabbed my collar camera, a bunch of toys, several outfits and my favorite doggie bed and blanket and we were off to the gorgeous shell-filled, sandy beaches of Florida. 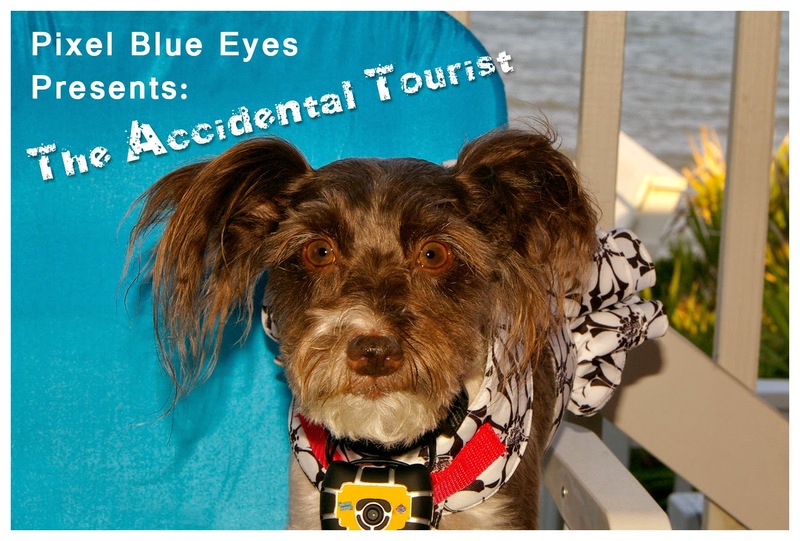 Over the next couple of weeks I'll be sharing all the adventures, as well as reviewing the places we stayed that were pet friendly, and places we visited that were not so 'pet friendly'. We sure did learn a lot and I want to share that knowledge with you! Stay tuned for lots more fun to come with LOTS of photos of course. Happy Wordless Wednesday friends!! 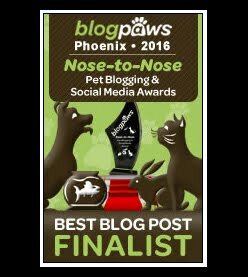 This blog hop is hosted by my good friends at BlogPaws. 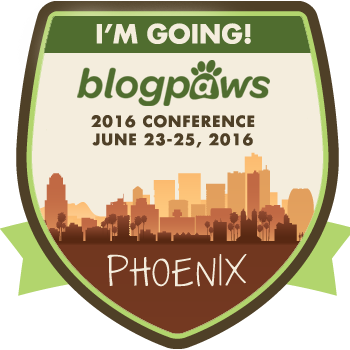 So many of my fellow pet bloggers are going to the 2014 BlogPaws Convention that starts tomorrow. I wish I could join them, but I will be following their adventures with great anticipation. Have a great rest of the day!! Welcome back Pixel and we so look forward to hearing all about your adventures. Have a tremendous Thursday. Hope your mom is doing better! We miss you at BlogPaws!